Fun tour with Carlos. This is a fast 3 hr tour and they cover so much. I loved it. Photo stops for Hollywood sign at Griffith park was amazing. Love lunch at the farmers market and the quick stop at the Beverly Hills sign. Highly recommend! I expected much more from a tour when it is described as "Grand Tour". I would NOT recommend if you had hoped to get a good preview of what LA has to offer. 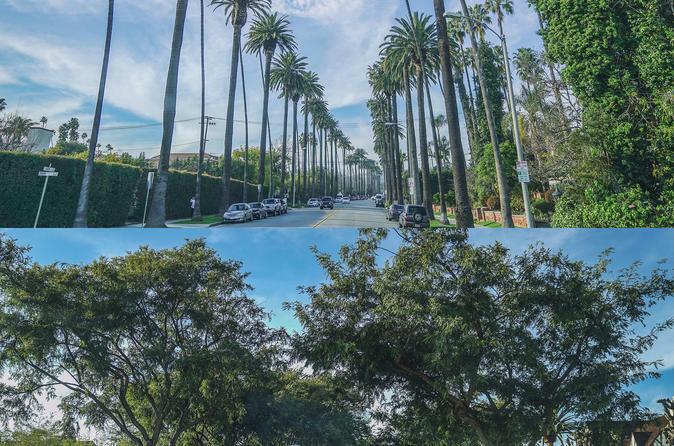 You need a longer tour to get a taste of LA. The owner and office manager Of Guideline Tours, Paul and his wife Bing were incredibly personable and professional. They made sure everything went smoothly and we were well taken care of throughout the Grand Tour of LA. I told them if they make it to Alaska, I will take them to dinner and show them around Anchorage !The tour highlight for me was the Griffith Park Observatory. LA Land and Rebel Without a Cause were filmed here. Amazing views of LA and Hollywood Sign. Our driver and guide, Carlos, originally from Brazil, did a great with commentary and getting us through traffic. Thanks Carlos and Guidline Tours for a very enjoyable and informative experience. 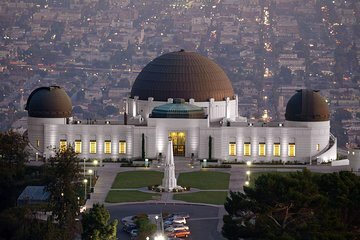 I highly recommend this tour to everyone visiting Los Angeles ! Om researrangören vet att det är dimmigt på förmiddagarna i LA på hösten så ska man inte börja sin tur uppe på berget där man skulle få se utsikten och Hollywood-skylten,.....Turen upplevdes stressig då guiden ville visa så mycket som möjligt. Hade varit kul att få stanna till på fler ställen. Stort plus till guiden som var väldigt engagerad och verkade älska sin stad. Average tour. Driver was prompt and very friendly. Felt like could have been told a little more about the city and what we were seeing. We had a short amount of time to see a lot of things and this was the best way to do it. The guide (Bing) picked you up and was on time. She was very friendly and knowldegeabe. Would recommend this tour. The van was clean and air condition. She had water for use because it was hot that day. The guide was wonderful full of information, loved the tour, we had fun at every stop, the view at the Gifford observatory was wonderful. This tour was just okay. There was a lot to see, which was great, but the guide went way way too fast and mentioned most of the places to see right when we were actually driving by it, so very few photo opportunities. Our guide was funny and informative! Highly recommend this tour if you want to have a small group setting. Farmers Market was a highlight stop for lunch. Excellent half day! This was the perfect tour for me and my friend who were visiting LA for only 2 days. It provided a thorough overview of the city neighborhoods, history, and sights. The tour guides were friendly, knowledgeable, considerate, and entertaining. One of our drivers, Bing, went above and beyond in sharing her time and knowledge of the area with us. We truly felt like we got a little extra than the standard tour because of Bing. We will ask for Bibg again on our next trip to LA.